Rhonda’s education includes graduating from the University of Tennessee at Knoxville with a Bachelors of Science in Psychology in 2001. Rhonda relocated to West Tennessee to start a successful business with Creative Memories that continues to excel today. 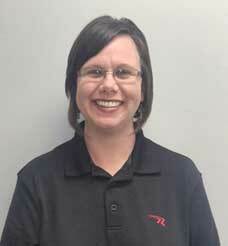 Rhonda joined Redden Total Therapy in 2007 as the administrative assistant and office manager. She is vital to the success of Redden Total Therapy to date performing a variety of duties in the clinic including scheduling, billing, communication with physician’s office, case managers, insurance companies and patients. Rhonda enjoys scrapbooking, watching movies, and listening to Christian music in her free time.